FC500N wrapped in cardboard | Case Packers | FUJI MACHINERY CO.,LTD. A setup case packer with a side packing technique. 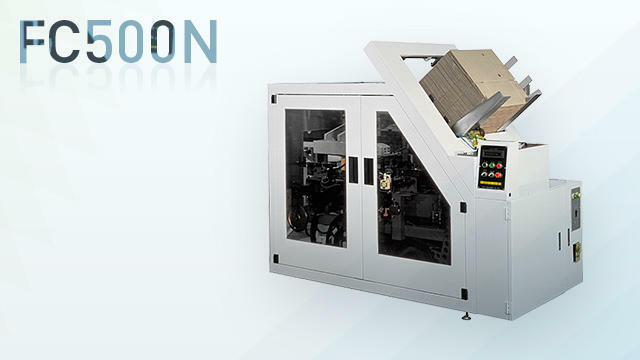 It streamlines the box-making process for high capacity.